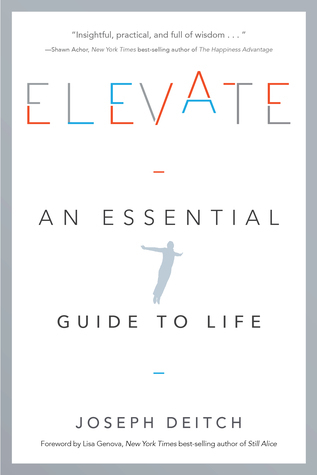 Elevate: An Essential Guide to Life by Joseph Deitch was published on March 27th, 2018 by Greenleaf Book Group Press and is a psychology, self-help book. A modern world that is bursting with data can often make us feel even more lost as we struggle to find meaning and look for the answers to life’s mysteries. Joseph Deitch shares his lifelong pursuit of wisdom and growth in an accessible, practical, down-to-earth gift to his readers. Elevate is a celebration of life and the potential that exists for all of us. It provides both answers and insights as it links awareness and action, East and West, ancient and modern, spiritual and scientific. It offers a formula for turning frustration into fascination and provides a universal framework for what works and why, what to do . . . and why we don’t. About the author: Joseph Deitch was born and raised in Boston, Massachusetts. After college, he followed his muse and moved to the US Virgin Islands, eventually returning to Boston to pursue a career in financial services, and always trying to merge the ethos of the islands and the entrepreneur. Joe is the founder and chairman of Commonwealth Financial Network, with assets under management of approximately 150 billion dollars. He is also chairman of Southworth Development, a golf and resort real estate company with properties in the US, the Bahamas, and Scotland. 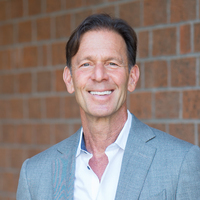 Joe has dedicated his professional career to the goals of quality and community, constantly trying to craft “the ideal environment.” He established the Deitch Leadership Institute at the Boston Latin School, the oldest public school in the United States. He has also been a Broadway producer and won a Tony Award as co-producer of The Gershwins’ Porgy and Bess. In 2010, the editors of Investment Advisor magazine selected Joe as one of the thirty most influential leaders in and around the financial planning profession over the previous three decades. Joe is a graduate of the University of Pennsylvania and an alumnus of Harvard Business School. He divides his time primarily between Miami, Boston, and Cape Cod—depending on the weather.